Newly released documents show avowed white supremacist Dylann Roof drove to a second black church the same night he shot and killed nine church members at the Emanuel AME Church in Charleston, South Carolina. GPS evidence showed Roof got off the interstate and drove toward Branch AME church in Jedburg after the church shooting, according to unsealed court documents on Tuesday, reported by WCIV. The church also advertised a Wednesday night Bible study but it was unclear whether anyone was still at the church at that late hour in June. South Carolina prosecutors said 22-year-old Roof turned off his GPS for several minutes, which indicated he had stopped his car. During a lengthy confession the day after the shootings, Roof said in his FBI interview he was too tired after the attack at Emanuel to continue shooting. Defense attorneys argued there was no evidence to suggest Roof was going to continue his attack at another church. 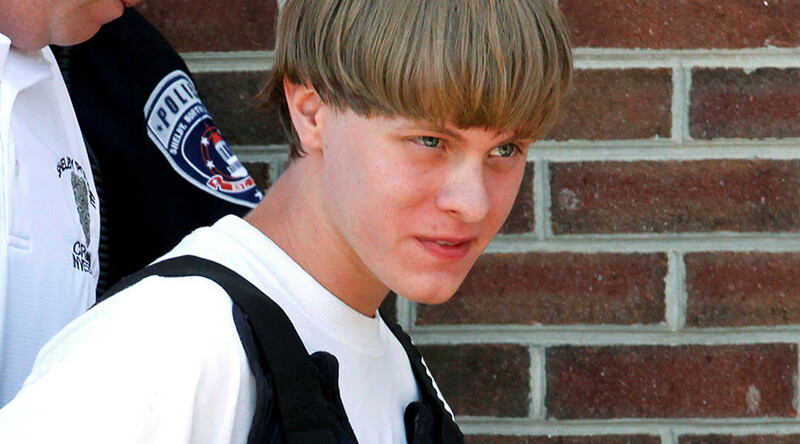 The details were not part of the federal case against Roof, who was last month sentenced to death. In December, a jury convicted him of 33 federal charges in the killing of nine people as they prayed at the end of a Bible study at the historic Charleston church known as Mother Emanuel. During Roof’s trial, prosecutors presented evidence showing he had lists of other black churches in his car when he was arrested in Shelby, North Carolina. Other documents show Roof confessed to a coworker in 2014 that he was racist. The comment came after someone made a racist joke. State prosecutors have pursued the death penalty against Roof for murder charges, but that trial was indefinitely postponed during his federal proceedings. Roof is also seeking a new federal trial, saying prosecutors didn't have jurisdiction to bring their case against him.